No matter how hard you try to go paperless The Future Is Here - Your Guide to Having a Paperless Life Today The Future Is Here - Your Guide to Having a Paperless Life Today Paperless – a term that is used quite often now days. But what does it mean? And to what extent does it apply? Certainly we all still use paper to some degree despite the advancements... Read More , sometimes you just need to print that webpage. It might be for directions, an article for class, a handout for a meeting at work, etc. As much as we’d like to go as digital as possible with our smartphones, laptops and tablets, occasionally we need to go back to the “old fashioned” method of printing. That said, printing is expensive The High Cost Of Printing [INFOGRAPHIC] The High Cost Of Printing [INFOGRAPHIC] Back when I worked in a government department in 2000, I tried to persuade the boss to switch to a paperless office. I was appalled at the amount of paper and ink that was being... Read More and you shouldn’t just print the webpage with all the ads and flash media. Aside from using more ink, this makes the page cluttered and more difficult to read, which is contrary to why you’re printing in the first place. In fact, don’t even settle for not deciding what content or photos appear – you can adjust that too. You do this primarily with browser bookmarklets and extensions. If you’re saying that to yourself right now, I want to take a quick second to introduce you to something that just might change how you use your web browser. Of course, we’ve talked about bookmarklets a lot of MakeUseOf, so instead of repeating everything and drawing out this article longer than it has to be, I will point you to Erez’s article, Stop Installing Browser Add-ons – For a Faster, Leaner Browser Use Bookmarklets Instead Stop Installing Browser Add-ons - For a Faster, Leaner Browser Use Bookmarklets Instead Stop Installing Browser Add-ons - For a Faster, Leaner Browser Use Bookmarklets Instead Read More . There you should get all the information you need about what bookmarklets are, their advantage over browser extensions and why you should use them. While reading this article, you should keep what you learned in mind as I talk about the different tools and whether they’re offered as a bookmarklet or extension. 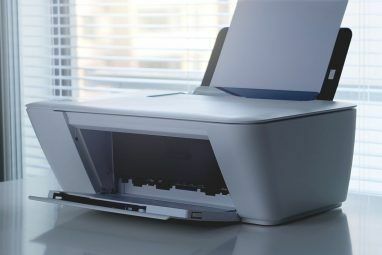 PrintWhatYouLike is no stranger to the MakeUseOf crowd. It’s been featured in several articles and due to its longevity of popularity, it continues to pop up in even more recent articles, such as The Future Is Here – Your Guide To Having A Paperless Life Today The Future Is Here - Your Guide to Having a Paperless Life Today The Future Is Here - Your Guide to Having a Paperless Life Today Paperless – a term that is used quite often now days. But what does it mean? And to what extent does it apply? Certainly we all still use paper to some degree despite the advancements... Read More and How To Keep Printing Costs As Low As Possible How To Keep Printing Costs As Low As Possible How To Keep Printing Costs As Low As Possible Let's get this straight - printing emails and documents is primeval! Not only does it cost money, it also wastes resources, storage space, and time. In fact, half of all pages printed are never used!... Read More . But perhaps you aren’t familiar with PrintWhatYouLike. What is it? It is basically a simple browser tool, not unlike many of the others which will be mentioned in this article, that allows you to pick and choose what portions of webpages you would like to print – hence the name. It comes in a few forms – a Chrome extension, a bookmarklet and a website. On the website you can simply type (or copy and paste 10 Incredibly Useful Clipboard Management Utilities [Windows] 10 Incredibly Useful Clipboard Management Utilities [Windows] Copy and paste is one of the best features we have at our fingertips, especially when combined with keyboard shortcuts. You can’t argue that copying and pasting is one of the most common things we... Read More ) the URL into the search field, although this is certainly the least efficient way to use it. Note that with PrintWhatYouLike, there are options such as Auto Format, Undo, Redo, adjusting text size and font, and choosing whether to show or hide the background, images and margins. While editing the webpage to print, you can also add a new one (overwriting the current one) by adding in a different URL or you can add a page to the current webpage so you can edit and print both at the same time. In addition to printing, PrintWhatYouLike allows you to save as a PDF or HTML. As you can see, the printout isn’t really centered, but in a “glass-half-full mentality,” that gives room to add some notes on the side. Although, I can’t guarantee that a different article will have the same amount of space on the side. Get the Chrome extension or bookmarklet. PrintFriendly is likely just as popular as PrintWhatYouLike and it also offers a browser extension and bookmarklet. However, instead of only offering an extension for Chrome, like PrintWhatYouLike does, they also offer one for Firefox, Internet Explorer and Safari. It’s not just the versatility of its browser extension that makes PrintFriendly better than PrintWhatYouLike though. The interface itself is a bit cleaner as well. One thing PrintFriendly doesn’t do that PrintWhatYouLike does, is adding new pages via URL. One might argue that it also doesn’t have the “auto format” feature that PrintWhatYouLike has, but after using PrintFriendly, you’ll quickly see that it does it without even being prompted… and better too. It may seem I’m biased for using PrintFriendly, but features don’t lie and after using it you will be too. Easy to install as a browser plugin or bookmarklet, CleanPrint/Save lets users save only what they want with options such as removing text and images and adding a note. Individuals can get the free browser tool and use it everywhere on the web. However, I was unable to find the bookmarklet anywhere on the website. The extension, though, works great and like I said before, it has some really neat features. If you’re a Google Cloud Print user, you’ll be happy to know it is integrated into CloudPrint. Other services that CloudPrint sends to are Box, Google Drive and Dropbox. It also can save it as a PDF or an RTF document. There are also buttons for Facebook, Twitter, LinkedIn and Google+ to share the article. As far as editing the article goes, it works in the same fashion as the others by allowing you to hover over sections and click to remove them from the page. There’s an undo option, of course, if you make a mistake. You can also adjust the text size and remove images, like you can with others. One different editing feature though is the “less ink” feature, which lessens the intensity of the color to help save ink. We’ve shared the Printliminator a couple of times on MakeUseOf in articles such as 3 Easy Bookmarklets To Print Nice Looking Web Pages Without Craplets 3 Easy Bookmarklets to Print Nice Looking Web Pages Without Craplets 3 Easy Bookmarklets to Print Nice Looking Web Pages Without Craplets Printing information from the web is often a challenge because websites are plastered with sidebars, images, advertisements, and other unprintable elements. What makes a website look fantastic is a real drag when printing because all... Read More . Printliminator is only a bookmarklet and an overall nice tool, however I wasn’t that impressed with it when comparing it to the other bookmarklets. When you click the bookmarklet you’re given four “boxes” in the upper right corner of the webpage. These are “Remove All Graphics”, “Send To Printer”, “Undo Last Action” and “Apply Print Stylesheet”. The first three are pretty self explanatory. The stylesheet option seems useful and for some websites I’m sure it is, but when I applied it, I wasn’t too impressed. I still had to go through and manually remove a lot of the “stuff” around the article, which seems contradictory to its purpose. Again, the Printliminator isn’t a bad bookmarklet, but I just feel there are better, more useful ones available. I’m open to having someone maintain it if they want, though. I got tired of having to mess with it every time a new version of Firefox came out. Its primary feature, besides eliminating page elements, is keyboard shortcuts. After launching the tool, you are prompted to hit the “h” key, which displays an entire menu of keystrokes to control Aardvark. If you’re looking for a tool that allows you to not only eliminate page elements for printing, but also just for easy reading, below are some of the best options to help you do this. They don’t have nearly the customization options like the others do (as that isn’t their intent), but they do simplify the page for reading and printing, if you care to do so. iReader allows you to zoom in and out, email, share to Facebook and Twitter, remove images and, of course, print. There is further customization within the options “gear” too. All of these can be accessed by the “bar” that disappears whenever the cursor isn’t hovering around the bottom of the page. If you want simple reading without any options or even images, NotForest is perfect. Then, simply print by hitting Ctrl+P on your keyboard and you have a simple printout of the article. You’ve probably heard of Readability before, especially if you’re a MakeUseOf reader. But have you ever thought of it as a tool to print webpages without all the other elements? After clicking the “read now” button (in the browser extension or the bookmarklet) click the printer icon at the bottom of the sidebar on the left. Of course there are a lot more features other than just printing clean-looking webpages. We’ve all heard of Evernote, but perhaps you haven’t heard of Clearly. There are several features that Clearly has and an entire article on MakeUseOf dedicated to it. Its simple controls and clean look make it a great way to print web articles. What About Printing An Email? If you are wondering about the best way to print emails, some of these tools will work. 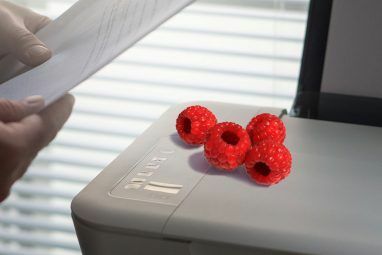 However, we’ve actually covered this in detail in the article Everything You Need To Know About Printing Emails Everything You Need To Know About Printing Emails Everything You Need To Know About Printing Emails Even in paperless times of ours, there are situations when you have to print out emails. For instance, you might need to submit it as a physical document. You might want to have a physical... Read More . If you are a publisher, such as a blogger, you might want to provide your readers with an easy way to print your content. Many of the tools above provide code which you can add to your website to allow readers to print easily with a simple click of a button. Again, we definitely should always minimize printing to keep costs down How To Keep Printing Costs As Low As Possible How To Keep Printing Costs As Low As Possible Let's get this straight - printing emails and documents is primeval! Not only does it cost money, it also wastes resources, storage space, and time. In fact, half of all pages printed are never used!... Read More and just be environmentally friendly. But even when printing, you can still do those things with these tools. Additionally, if you haven’t heard, Joliprint, one we’ve mentioned before 3 Easy Bookmarklets to Print Nice Looking Web Pages Without Craplets 3 Easy Bookmarklets to Print Nice Looking Web Pages Without Craplets Printing information from the web is often a challenge because websites are plastered with sidebars, images, advertisements, and other unprintable elements. What makes a website look fantastic is a real drag when printing because all... Read More , has shut down. If you’re a user of theirs, start looking at the above tools for a solid alternative. Here is a collection of links, both some which have been mentioned in the article, and some which haven’t been. What tools out of these do you prefer using? 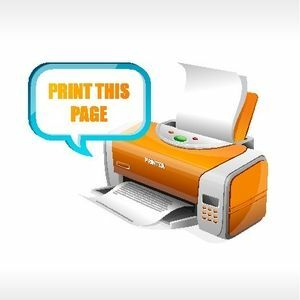 Are there other tips which you have found useful when printing web articles? Sometimes having both bookmarklet and extension will help, because bookmarklet needs internet connection (good if you want to print that page right away) and prone to problem (RIP Joliprint) but extension like Scrapbook allows me to edit the page I've saved before offline. I'm a big fan of scrapbook because of the DOM eraser and little bit of editing capability, allowing readable content for both archive and printing. Yeah we've reviewed that one on MUO before. I just wasn't real impressed with it and it is only available for Firefox (right? ), so I skipped it this time. Thank you for the suggestion though — much appreciated! just what I need. Never occur to me that this type of website exists... thanks!! Thanks for great list of this useful printing tools. I'm going to save a lot of papers. I'm a big Readability fan. I have used their bookmarklet (they apparently have extensions also for Firefox and perhaps Google Chrome) for quite a while now, and the results are almost always perfect. I like using a bookmarklet for this, instead of having to pick and choose what I want printed. If in fact I only want sections of text printed, I can simply select portions of what Readability gives me anyways, and have my printer print the selection (or save it to a doc). And I don't know if other services offer this, but Readability allows you to change the font size, etc., by clicking on the two Aas on the upper left corner. The option offered by Readibility is what attracted me to the service. It's a solid extension for day to day use.